"Kore Brazilian Jiu-Jitsu is more than an association. We are a team of professors and instructors in a mission to promote Brazilian Jiu-Jitsu through an organized and structured curriculum, uniting the traditional and the newest techniques"
We are a Brazilian Jiu-Jitsu association founded in 2011 by 4th Degree Black Belt Professor, Luigi Mondelli. We are located in over 16 locations around the country and in Brazil. Our Association gathers over 20 black belts working together to teach, develop, and promote this amazing Martial Art. core [kawr, kohr] noun. The central, innermost, or most essential part of anything. Synonyms essence, heart, gist, center. Bushido (武士道? ), meaning “Way of the Warrior-Knight”, is a Japanese word which is used to describe a uniquely Japanese code of conduct and a way of the samurai life, It originates from the samurai moral code and stresses frugality, loyalty, martial arts mastery, and honor. Why the “K”? Because we are not an ordinary team. We stand for our values. When you join Kore you become a member of a family that enjoys learning Brazilian Jiu-Jitsu and Martial Arts in its essence. 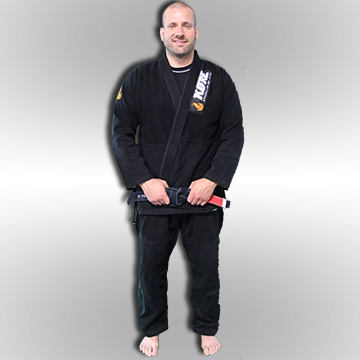 You will find our BJJ program in 16 well equipped locations with great instructors. No matter in what Kore Certified School you train at, you will learn real authentic BJJ. We offer full support to our affiliates providing weekly program with techniques. Have access to our exclusive Instructors Area with videos, posts, etc. Everything to help your school grow with one of the most popular martial arts in the world today: Brazilian Jiu-Jitsu. There is always something going on in a large network of schools training Brazilian Jiu-Jitsu like us. In our website you will find always the latest news from all our affiliates. You are part of a great thing, our Kore family. Stay tuned with what your brothers and sisters around the country have been doing. Our Team brings to our Association their own expertise in disciplines such as Judo, Sambo, Bio-Mechanics, Physical Training & more enriching our BJJ game. Meet Everyone! I have never seen a more positive change in myself - physically, mentally, and spiritually - than when I began training at Kore BJJ/American Top Team. It is very therapeutic because I stop obsessing over life's problems as soon as I step on the mat. Plus I fee like a bada** when we roll. Oss! Kore BJJ Danbury is a family that is always there for me, even when I return from an extended time off. I love the sport, I love the instruction that I have received over 14 years and I love the people. This is my home away from home. The technical level of the instruction is superb as is the level of my ATT Danbury brothers. There is so much more to a Jiu Jitsu club than the level of the instructor, the number of medals and the recognition of world class athletes. We are lucky to have all of these but in addition, we take the time to ensure that every student gets an opportunity to accomplish their personal goals. 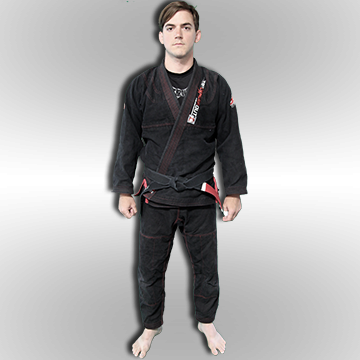 With 5 black belts on the mat for most evening rolls, you do not have to go far for a willing instructor to assist you in improving your game. Professor Luigi Mondelli runs a quality world class school for kids an Adults in Connecticut. The training atmosphere is second to none, where egos are removed, and a place for the Bushido ideology to thrive. If you're looking to sharpen your iron for competition, looking to defend yourself, or just get into better shape, this school provides an environment for all to sore. Love my squad! Everyone at ATT/KORE embody the BJJ lifestyle on and off the mat. ATT/KORE members are friendly and welcoming but don't let this fool you, these guys are killers on the mat. Mestre Luigi Mondelli is pure Bushido. He must have been a Samurai in his past life. So many great guys and gals at ATT CT/KORE BJJ. Absolutely top notch training for anyone looking to learn BJJ. Great family atmosphere that makes it comrortable for anyone from white belt to black. I would highly recommend this school!